We’re celebrating our role in a £36 million regeneration programme along one of the country’s most iconic seafronts. 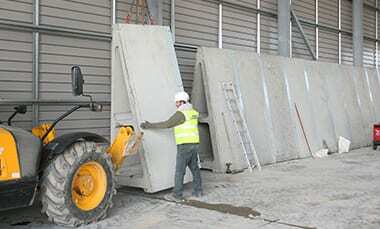 In 2017, our bespoke products team, led by director Tim Evans, was commissioned to deliver 2000 bespoke sea defence wall panels to support the rebuilding of the Central Lower Promenade in Whitley Bay, as part of North Tyneside Council’s £36m Seafront Master Plan. The master plan is aimed at revitalising the coastal stretch between St Mary’s Lighthouse and Cullercoats Bay. 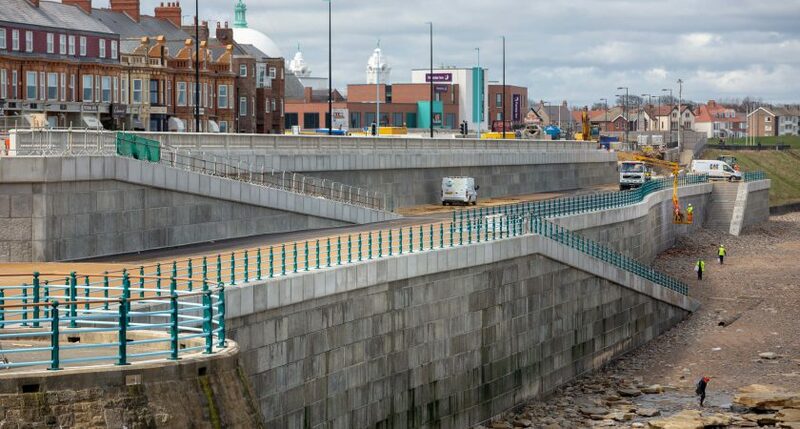 The wall panels had been ordered by Hall Construction Services Limited, the company commissioned to re-build the promenade, making it both better and able to cope with the depredations of the North Sea and more attractive for residents and visitors alike. A key requirement of the contract – the installation of the first two walls – had to be completed by the onset of last winter, to allow all works to be off the beach level. In spite of the challenges of producing a myriad of one-off moulds, including a number of special coping units running up alongside the stairs, this tough task was achieved with a couple of days to spare. Tim Evans explained: “After so much careful planning, manufacturing, delivery and installation and working very closely with Hall Construction on-site, it is thrilling to see the sea defence walls – and indeed the whole development – looking spick and span. The work at Central Lower Promenade began in March 2017 and has seen the existing seawall strengthened to protect nearby homes and businesses and will include a number of enhancements to the public realm. Finishing touches are now being made and the area is set to reopen in the coming weeks ahead of an official opening event planned for the Bank Holiday weekend at the end of May. 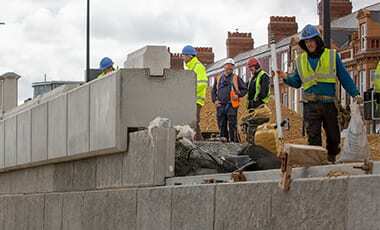 The project is being led by North Tyneside Council in partnership with Hartlepool Borough Council, Hall Construction Services, the Environment Agency (EA) and Northumbrian Water (NWL). 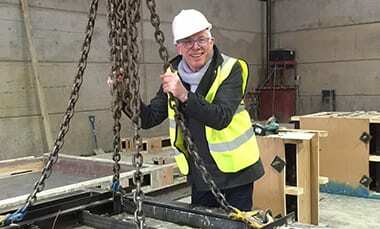 Do you have a similar project that you would like our bespoke team to help out on? Contact us on 01449 723150 for more information.